Sony's 77in 4K OLED set to hit the US market at $20,000 | What Hi-Fi? The XBR-77A1E OLED television has a 4K resolution and support for HDR10, HLG and (eventually) Dolby Vision. The 55in and 65in versions are priced at $5000 and $6500 respectively. How much should a good TV cost? Sony's 77in Bravia OLED A1E television - also known as the XBR-77A1E - is set to start shipping in the USA for a hefty $20,000. While that's not a totally unexpected price (LG's Wallpaper television costs £25,000) it's still going to take a chunk out of most people's bank accounts. However, there are some less expensive alternatives in the range - the 55in and 65in versions of the television come in at $5000 and $6500 respectively. Like the smaller A1 OLED models (such as the five-star KD-55A1), this new 77in television will have 4K resolution and HDR support. 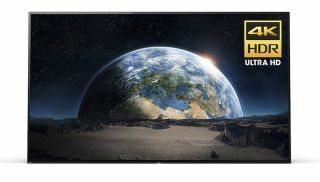 HDR10 and HLG are active out of the box, while a firmware update for Dolby Vision is planned for later in the year.